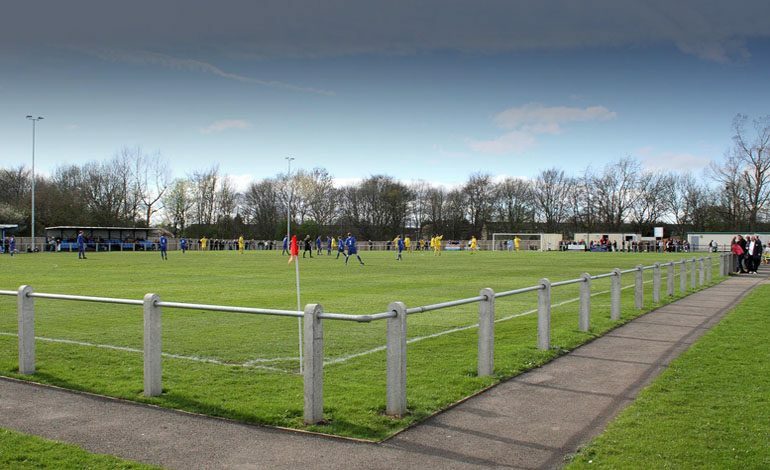 Newton Aycliffe suffered a heavy 7-0 defeat at home to local rivals West Auckland on Saturday. The visitors played fluent football throughout the match and made their attacking intentions clear early on. Aycliffe ‘keeper James Winter had to make a fantastic double save from Purewal after only five minutes. Ten minutes later, his fellow striker Fisher put his shot past the post with the goal gaping. Aycliffe then had a good spell of pressure and Ramsbottom was put through the line and brought out a good save by Bland in the West Auckland goal. Aycliffe were to regret those missed chances. West Auckland fashioned a good move down the left on 33 minutes, and a cross found Purewal unmarked to head in for the opener. Three minutes later, they increased the lead when Mitchell hit an unstoppable shot across Winter. Aycliffe man-of-the-match Winter made another good save from Purewal before the break. In the second half Aycliffe kept plugging away, but the visitors dominated the play, and added four goals in 10 minutes, leading up to the hour mark, with another from Purewal, two from Fisher and a screamer from Price. Aycliffe did have a good chance on 70 minutes when Kent was put through, but Bland pulled off a good save. Purewal went on to get his hat-trick when he was put through one-on-one, to make it seven without reply. Aycliffe’s next game isn’t until Tuesday September 18, a cup tie at home to Willington.